From the entire OzFish family, including our major partner BCF and our sponsors and supporters, thank you for making a difference to our most treasured pastime. We hope you enjoy being a member of our incredible community of OzFishers, it’s fast becoming a badge of honour within the broader recreational fishing community. 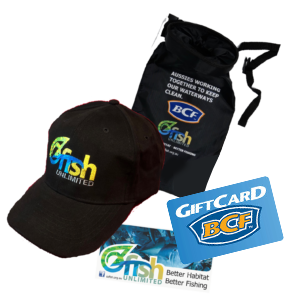 Membership with Ozfish includes a membership pack containing a hat, tidy bag, sticker and Squidgies.